Dr. Johnson grew up in Florida and South Carolina, and attended medical school at the Medical University of South Carolina. He completed his general surgery residency and was named Chief Resident in Surgery at the University of Florida. He then completed a fellowship at Duke University in advanced laparoscopy and Bariatric surgery and was on staff at Duke University Hospital. He moved to Atlanta in 2006 when he joined Johns Creek Surgery. Dr. Johnson is certified through the National Board of Medical Examiners and is Board Certified by the American Board of Surgery. He is recognized as a Center of Excellence surgeon by the American Society of Metabolic and Bariatric Surgery (ASMBS). Dr. Johnson has been named one of America’s Top Surgeons by the Consumers Research Council of America. He is a member of many national medical and surgical societies including the American Society of Metabolic and Bariatric Surgery, the Society of American Gastrointestinal Endoscopic Surgeons, the American Medical Association and is a Fellow of the American College of Surgeons (FACS). Dr. Johnson has taught courses on the latest techniques in the minimally invasive care of various general surgery diseases. This has included teaching surgeons on a variety of standard surgical techniques as well as updating surgeons on cutting-edge technologies. He has also been involved in national talks on managing all aspects of the surgical patient, including preoperative, intraoperative, and post-operative care. He has been one of the pioneers of new technologies in surgery including single-incision surgery. This type of procedure leaves just one small scar with the surgery, often hidden in the belly-button. He was the first surgeon in the area to perform single-incision surgery for the removal of the gallbladder and appendix and has also done various bariatric cases with this technique including Lap Band placement and a sleeve gastrectomy. 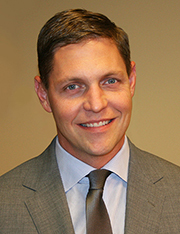 Dr. Johnson is currently the Chairman of the Department of Surgery at Emory Johns Creek Hospital. He has previously served as Vice-Chairman as well as the Chief of General Surgery. He operates at Emory Johns Creek Hospital and Northside Forsyth Hospital, where he helped launch the bariatric surgery program. He serves as the Medical Director of Bariatric Surgery at Northside Forsyth. He also serves as Medical Director at the Atlanta General and Bariatric Surgery Center. He has written multiple papers on the surgical treatment of obesity which have been presented at national meetings and published in medical and surgical journals.